Chief Executive Chef Susumu Sakamaki is a familiar friendly face both in and outside the kitchen of Miraku. 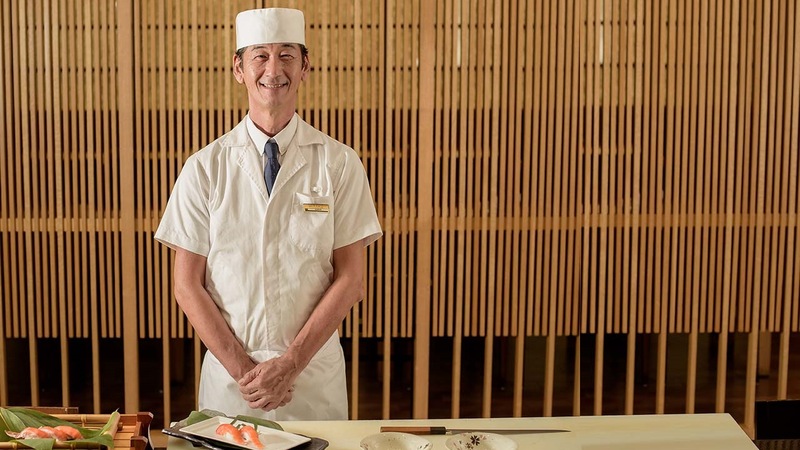 Fondly referred to as Sakamaki-san, Chef Sakamaki brings to the table over 40 years of Japanese culinary experience encompassing a diverse range of specialties and top dining establishments around the world. Chef Sakamaki spent his formative years as a chef at the highly respected Kawaman / Miyagawa Japanese Restaurant, a renowned establishment with over 400 years of history at the forefront of Japanese dining. He then continued to perfect his culinary skills in a variety of prestigious Japanese restaurants across the world before taking the helm at Miraku. Highly sought­-after for his masterful skills and vast experience, Chef Sakamaki has been invited to prepare dishes for an ever­-expanding list of top elites including the Japanese Royal family, Prime Minister, diplomats, dignitaries and various VIPs.